When I was bed(couch)ridden with premature labor in 1997, my husband set up my office on the coffee table. Back then, this meant moving a big, honkin’ computer and screen the size and heft of a bag of rock salt to the family room, and hooking it up–with cables–to the Internet, so I could work while trying not to go into labor too early. This setup was about as mobile as my office would get back then, which was fitting, because my big, honkin’ self wasn’t very mobile at all either. This was right around the time I read Bill Gates’ “The Road Ahead,” the Microsoft CEO’s manifesto about the “Information Superhighway,” which is 90’s-speak for “the interwebs.” In it, he predicted a lot of what has already happened in computing, especially how our lives now center around technology. Nowadays, the Information Superhighway follows me around the house, on my phone or my Surface 2– my tablet that’s also a laptop, which is about the size of a 2-subject spiral notebook with lined paper. It is one of three tablets in this house, which are used to read the news and books, access recipes, shop online, and do and review homework. My Internet access is now wireless, and my teenaged sons and their friends tap into it on their phones when they’re here, so they can text each other while they sit next to each other. Well, not every technological advance has been an improvement for mankind. Coming soon–The Universal Foldable Keyboard: If you’re like me, you wind up editing Word files on buses and in the middle of the supermarket. That’s much easier to do if you happen to have your laptop handy, but what if you just have your phone and a tight deadline? You could type your edits on that tiny keyboard your phone has and pray you catch your typos before you hit send. Or you can use the new Universal Foldable Keyboard. Coming in July–just in time for editing-at-the-beach season–this little keyboard works with iPhone, Android, and Windows phones as well as several tablets. It sets up in seconds, and it’s spill-resistant–just in time for iced coffee season. Pre-order it for $99.95 at the Microsoft store. Here now–Office Online is easier to use: I keep all my files that I write for my work as a hospital digital content writer up in the cloud, on OneDrive. So I’m always pulling files down to work on and putting them back on. The toolbar in Office Online now has an Add to OneDrive option, so I always make sure my drafts are saved on the cloud in case I need to edit in the supermarket or on a bus. (See above.) There’s also a Download a Copy feature so I am sure to put my files on my computer in my home office, too. Here now–Office 365 for Mac: I’m a proud PC, but my kids have a few Apple devices, including my son’s new MacBook Pro Mortgage Payment. Microsoft was smart enough not to go all Betamax on equipment, making sure that their software is available even on the competitor’s gadgets. As a result, I have downloaded Office 365 not only on my Windows Phone and Surface tablet, but also on my son’s laptop. He can write his paper on Word on his Mac, and I can edit it on my Surface 2. Then I can text him from downstairs that I’d emailed the file to him, so I don’t have to shout upstairs and disturb the cat when he’s sleeping in my lap. I guess that some technological advances just weren’t so easy to predict at the first exit on the Information Superhighway. 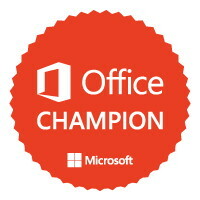 *I am an Office Champion for Microsoft, who compensates me for my undying love for their doo-dads — an awesome gig, especially when I get to play with new gadgets early. Helloooo, Universal Foldable Keyboard.